0:30-0:45 and 1:43-1:55 (“Her eyes make the stars look like they’re not shining; her hair falls perfectly without her trying”) Bruno Mars obviously read the balcony scene. 2. Scene paraphrasing. Each student received a copy of one scene from Romeo and Juliet to analyze in greater depth and then perform with a group. Today, we began reading these scenes, sentence by sentence, paraphrasing after each. Groups will continue this work tomorrow. HW: Read Act III for Wednesday (read half of it tonight). Read Act IV and Act V for Friday. Listen to Act III online. To download the entire recording click here: iTunes or Complete File. Beware – this version leaves off about 10 lines at the end of the scene. until 3:27, plus a few extra lines just to make sure the overly simplistic Hollywood audiences understand. watch 3:27-6:20, but then be prepared to skip 10s of lines at a time because this scene is so chopped up. If you are reading Taming of the Shrew for your honors project, you should read as much of it as you can this weekend and fill out your green Reading Guide as you go. You’ll need to finish reading both plays by this Friday. 2. Oral Quiz. Most students answered one question out loud about Act I for an oral quiz. These question-by-question grades will be averaged and posted as one grade at the end of next week. 3. Scene selections. All students chose three of these six scene to investigate in more depth next week: I.v (the party); II.ii (the balcony); III.i (the fight); III.v (the last kiss); IV.v (Juliet’s fake death); V.iii (the end). 4. Act II. If time, we began reading Act II together. HW: Read all of Act II and fill in your pink sheet (reading guide) by MONDAY. Listen to Act II online. And Montague, come you this afternoon. O, where is Romeo, saw you him today? 2. Listening and reading. Next, we listened and read along to the rest of Act I, scene i. Students should read scenes 2, 3, 4, and 5 tonight for homework. (That’s all the rest of Act I). HW: Read Romeo and Juliet, Act 1. Listen here (start listening at 10:00, listen to 41:00). Be sure to read along as you listen. Act I, scenes iii and iv. Today students got back graded papers, projects, and quizzes. We also looked at the benchmark results and students were allowed to ask questions. HW: Read Act I of Romeo and Juliet by Friday. We will continue reading in class tomorrow. Today we first took a poetry quiz–the grades are already posted to the Parent Assist Module! 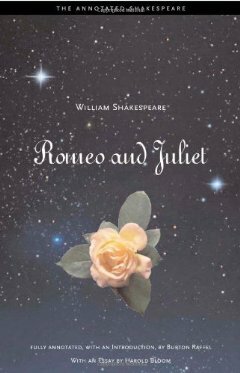 Second, we continued reading Romeo and Juliet by starting Act I, scene i, which grabs the attention of the audience with silly and sometimes bawdy humor. There is no reading homework tonight, but you should finish Act I by Friday. If you ordered a book through me—good news! Books are in and you’ll get yours tomorrow. 1. Do now. Today, we started class by writing about why anyone would go see a play/movie/tv show that they already knew the ending of. 2. Iambic pentameter. Students all wrote two lines of iambic pentameter about their weekends. Not so hard once you get the hang of it! 3. Romeo and Juliet background. We took notes on some basics of the background on our pink Reading Guides (pick one up from the classroom if you were absent). 4. Prologue. We read the prologue in pairs and took time to do some close reading of it. HW: Study L22 for your poetry quiz tomorrow. If in Honors, you should bring your own copy of the book to school. If you ordered one from me, you will get it early this week. Anyone who ordered from me, I have given you a school copy until yours comes in. Today students learned that Romeo and Juliet is actually a much older story than you’d think. It originated with Ovid’s Metamorphoses in around 8 A.D. and continued to change in form until Shakespeare wrote his version in around 1591. We even have new versions today (Romiette and Julio, for example). 1. Reflection on Stories through the Ages (download if absent). What kinds of teenage love stories do we have today? How do they usually end? 2. Share. We discussed similarities between typical teenage love stories and wrote up those similarities on the board. HW: If in Honors, get a paperback copy of Romeo and Juliet if you don’t want to lug around your textbook. Otherwise, none.